Granite City Food & Brewery is the ideal casual American restaurant for hosting your celebrations and other private events in Schaumburg. Private dining directors will work with you to create a one-of-a-kind dining and brewery experience for you and your guests. With a menu featuring a fresh, high-quality, and diverse menu, and a full bar fully stocked with the best craft beer available, Granite City has everything to host private events of all kinds and sizes. MAKE A RESERVATION ONLINE NOW, or for complete information, call 630-544-3700 today to speak to a friendly and helpful representative at Granite City Food & Brewery. You can also email anytime at corporate@gcfb.net. 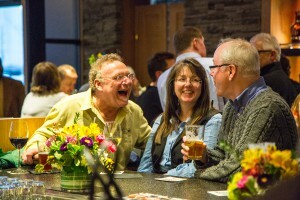 Business or pleasure, Granite City Food & Brewery can handle your private events of all group sizes. A private dining director will work with you on customized menu options and will attend to every detail. Choose from a wide variety of gourmet food and beer for your private dining events in Schaumburg. Expert chefs serve up tasty options for breakfast, lunch, or dinner. Appetizer and drink choices are also available if you prefer. MAKE A RESERVATION ONLINE NOW, or for complete information or to make a reservation for your upcoming private events, call 630-544-3700 today to speak to a friendly and helpful representative at Granite City Food & Brewery.